A cancer victim is set to defy the odds this April by taking part in the Etape Loch Ness sportive after medical professionals feared he would not be alive to see this year’s event. The new owner of an Inverness restaurant has pledged to donate over half of his takings on his opening night to aid cancer sufferers, in memory of the eaterie's former owner. An Inverness woman who Braved the Shave in honour of her cancer-stricken friend has spoken of her gratitude after raising more than £1,000 for charity. An Inverness woman will shave her head next week to raise cash for the charity helping her friend battling cancer. A cancer support group on the Isle of Lewis is celebrating its 10th anniversary this year, providing relief and sociable gatherings to its members. Baxters Food Group has announced their official charity partner for their 150th anniversary. A charity golf tournament is being held in memory of a Grantown dad-of-two who tragically died of cancer. A new programme set up to help people with cancer get active has been launched in Aberdeenshire. A north woman has got back on her bike just months after receiving cancer treatment to beat the disease for a second time. A Deeside hairdresser proved she could live life on a razor’s edge to raise funds for a cancer charity. A new programme, designed to get cancer patients in Moray more active, has been launched. An Urquhart husband and wife team are to take part in an exhausting rally to pay thanks to the cancer charity which supported a dying relative for three years before his death. A group of friends are "hopeful" they can embark on a fairway to heaven and use their golfing skills to raise money for charity. A leading cancer charity is looking for volunteers to help patients in the north-east to get active. 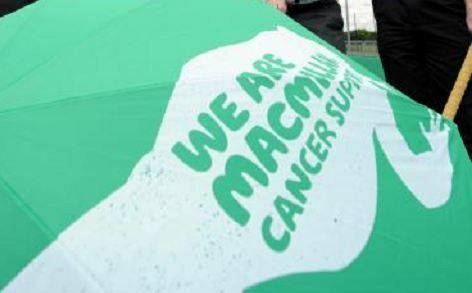 Dozens of walkers will trek from one side of Scotland to the other at the weekend to raise money to fight cancer. Pedal power has helped to raise hundreds of thousands of pounds for charities across the country. Moray's MSP has been given a morale boost as he prepares to participate in a "gruelling" fitness challenge. A well-known pedigree sheep breeder from the north-east has raised more than £1,000 for charity. A new service providing information and support for people affected by cancer will be officially opened in Oban Library. A determined cancer support worker is continuing an impressive running record when she takes part in the London Marathon next week. A Moray politician will be swapping people power for pedal power to raise funds for a cancer charity. A nationwide cancer charity has revealed how it has helped tens of thousands of cancer patients claim £285million in benefits. Staff at the University of the Highlands and Islands have handed over £5712.31 to Macmillan Cancer Support following a fundraising drive. Employees took part in a range of activities to raise money for the charity throughout 2015, including raffles, bake sales and a bowling night. A sprightly Aberdeen pensioner who turned to circuit training after battling cancer is encouraging others to be more active in the face of diagnosis. 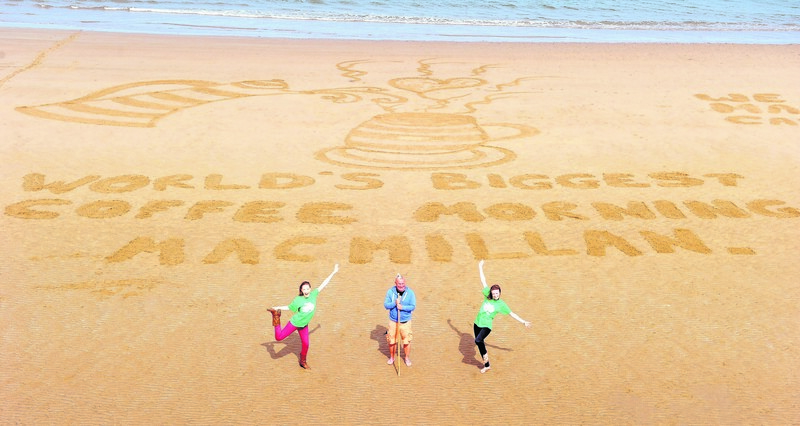 More than 1,300 coffee mornings are taking place across the north of Scotland tomorrow, Friday, September 25, as this part of the country gears up to take part in Friday’s World’s Biggest Coffee Morning – Macmillan’s flagship fundraising event.